Hello, thanks for your visit. I wish I could help you but I have left Osaka and Japan a while ago (the blog is doing re-runs) so I can’t. 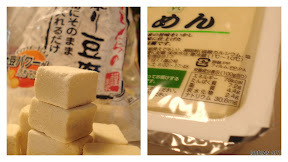 Well, there are tofu shops that make their products in each “shotengai” (market street). I hope you enjoy your trip. I think your blog is very well written. Thank you again. All the best.